It’s a beautiful summer evening. 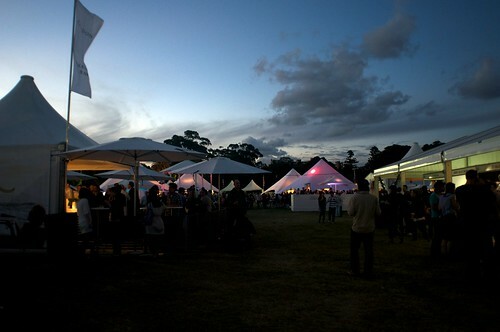 The sun was still high in the sky and as we walked closer towards Centennial Park for Taste of Sydney with some crowns in our pocket, the nagging sense of dejavu did not ease. 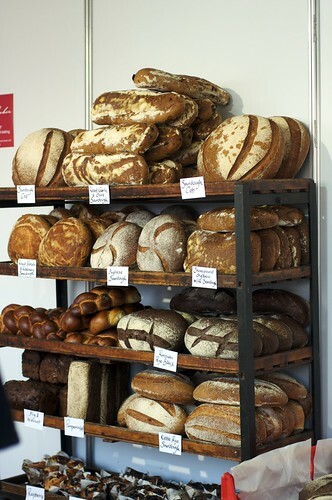 Flashback to last June, when I was wandering Regents Park at Taste of London, it all came back with a flash. 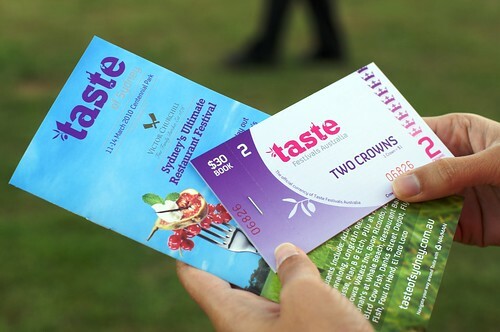 The concept of Taste of Sydney came directly from Taste of London. What I didn’t expect was how similar the event in Sydney was to London. From the image of the fork, the font, the crowns, the tents, the tables covered with synthetic grass the entire experience was replicated and brought a couple of thousand miles south. Perhaps there were changes made to localise the event other than bringing local restaurants, but you could have fooled me. What was a nice change, was the fact the park was not as crowded as it was in London. It definitely made wandering around the stalls much easier. We did a quick lap around the park to see what was available before we ended up following people wandering with interesting plates. 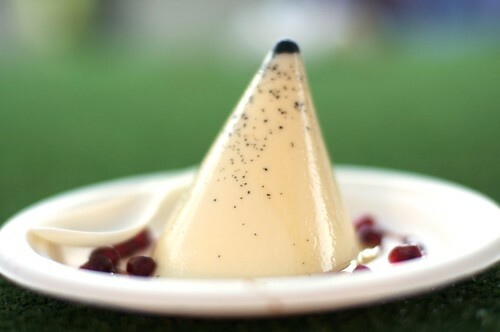 This worked out with Jonah’s at Whale Beach’s vanilla pana cotta with lavendar honey and fresh pomegranates. This wobbly slightly obscene, but creamy dessert was by far the most interesting dessert we found on the day. The same can be said about Guillame at Bennelong’s blue crab sandwich. 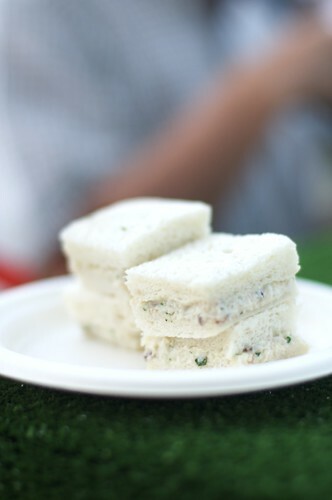 I’m a gigantic sucker for that subtle savoury taste pillowed by soft white bread pieces. What surprised me was how similar the menus from dozen or so restaurants are. There were plenty of meat dishes, but nothing really exciting or particularly surprising other than the panna cotta. A lot of the meat dishes like the 12 hour slow cooked lamb shoulder with minted crushed peas and feta dressing sounded impressive, but was quite ordinary. The lamb was somewhat cold and did not melt, the minted peas was interesting but nothing extraordinary. 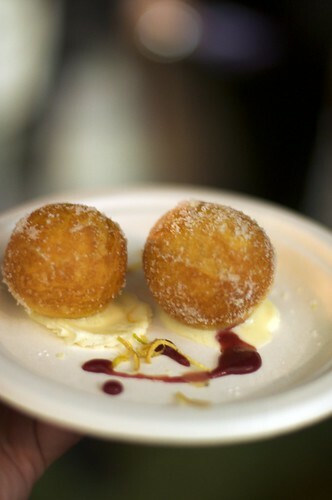 A few of the dishes were down right disappointing: Pilu’s zippola or Sardinian donut was disappointingly tasteless. The tantalising sounding risotto with crystal bay prawns and zucchini was so bland that we had a mouthful before abandoning the lot. In any case, it was an interesting venture to have a look at what was showcased. Some were familiar, such as Plan B’s wagyu burger, a great lunch time meal that managed to increase its value from the usual $10 to $12. It’s a small difference, but I wonder why they bothered? Don’t get me wrong, I loved the experience on winding down another rough week with a glass vino in my hand, but I would love to see more next time around. It’s bizzarre and not sure if they did it thinking people won’t notice perhaps? It’s my occasional lunch burger for $10, so it was difficult not to miss. 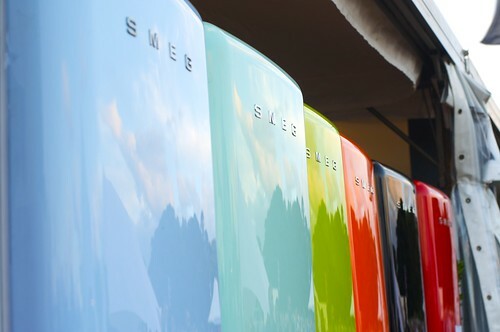 Oooh, a row of colourful Smeg fridges! They’re great aren’t they? Very narrow, but I do like their blue one. Lovely photos! I didn’t make it to the festival (surprise surprise) but have been experiencing it vicariously through everyone else’s posts. Great fun for a Friday evening, not sure I’ll do it again next year as apparently the menu didn’t change much from last year. 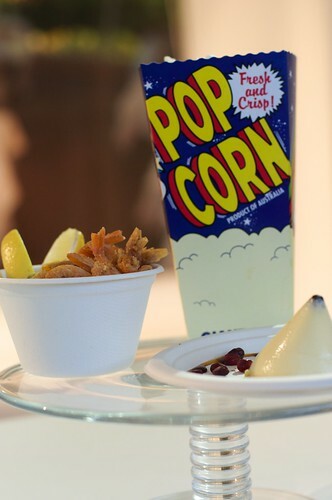 I hereby rename this blog: The Grumpy Gourmet!